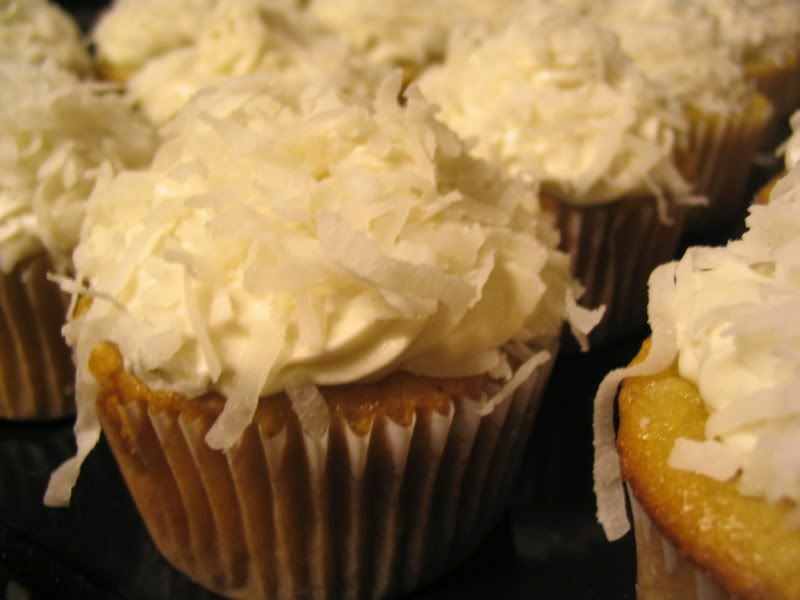 Coconut Heaven Cupcakes with Coconut Buttercream Frosting, Rolled in Coconut Flakes. 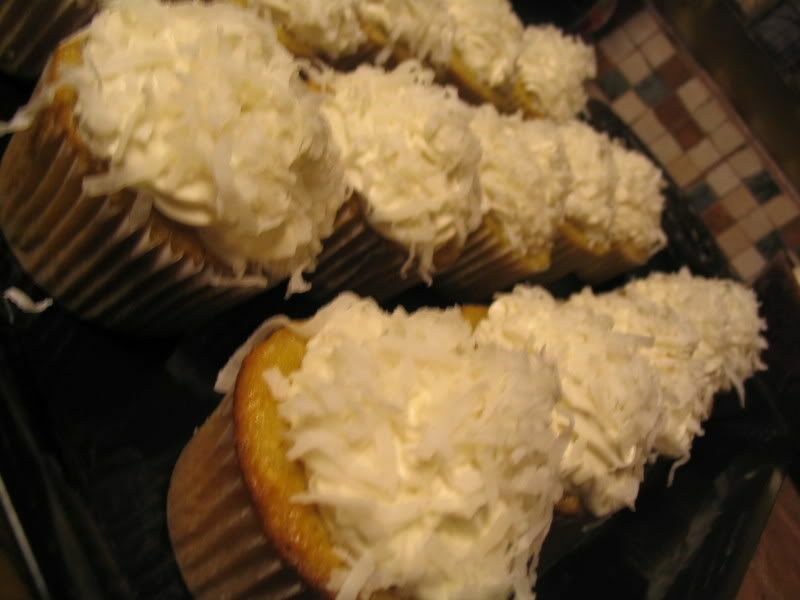 I followed the VwaV recipe for the cupcakes and the VCTOTW recipe for buuercream, but subbed coconut milk for the soymilk, yump! Ooh Baby! 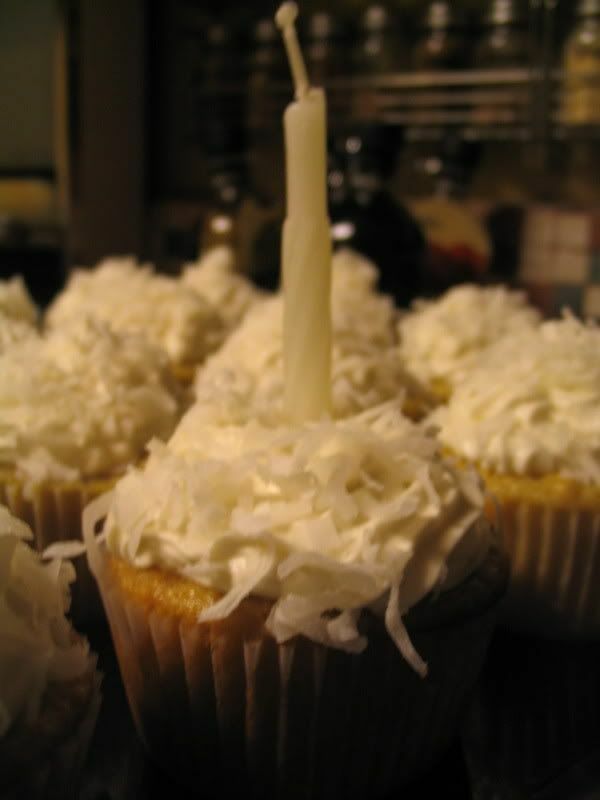 Since it's been so cold, I thought I would make cupcakes that reminded me of snow! How did you figure out the calories and grams of fat for these? Unforutnately this info is not in either of those cookbooks. I use the recipe calculator that is part of Sparkpeople to figure out calorie and fat in any recipe! Cool, I just started using that site the other day, and didn't realize that this feature existed. Thanks!